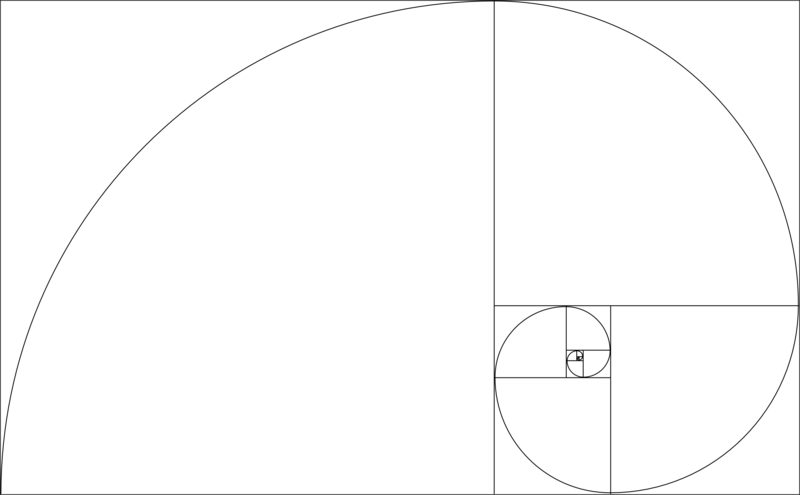 Tools for image composition: Golden ratio, image composition and Fibonacci spiral (Golden spiral). Many beginners of photography have problems with choosing a picture section. Many guides throw around terms like "golden ratio" or "golden spiral" as a cure-it-all universal remedy. But, it is not a cure-it-all universal remedy, but merely a tool. And as it is with all tools, before using it, you should know it and its exact area of application that way you can use it for your desired effect. 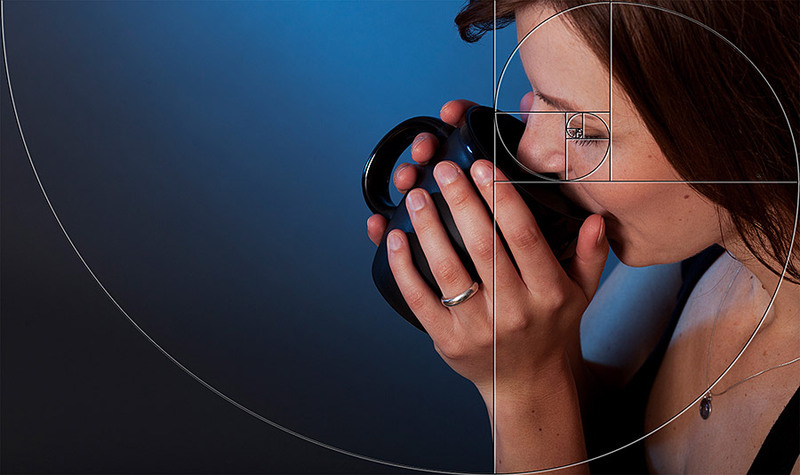 In photography the golden ratio or golden cut is helpful for an harmonic image composition. And here we have the area of application - for harmonic photos a harmonic image composition makes sense. But if the shown content of the photo does not have anything to do with harmony, then a harmonic image composition is not mandatory and it is at least slightly irritating. An intensification of the golden ratio, which is based on the golden ratio, is the golden spiral (for mathematicians: Fibonacci Spiral). But, I am much too fast. Let us first take a look at the golden cut and its application and how we can use it for photography. A later chapter will describe the Golden Spiral. The golden ratio, or often found in German literature the golden cut is nothing else but an allocation/ distribution of a specific split ratio. Exactly that split ratio occurs very often in nature and in general human sense it is harmonic - maybe because it occurs that often in nature. The aspect ratio of line a to line b is 61,8% to 38,2%. This allocation can of course also be done upright. Now form a grid out of both. An approximation towards the line allocation is 1/3 to 2/3 - this is shown often as a subdivision and a camera shows it as such a grid. If you place important picture elements onto these axes your image composition will look harmonic. I.E. : When we photograph a portrait, we do not place the head in the middle, but onto the lines of the golden ration. Suddenly, the effect of the photo complettely changes compared to a placement in the middle. Now we can go a step further. We get intersection through the vertical and horizontal application of the golden ratio (look at the grid above). Because of that we place when doing a portrait, the eye exactly onto the intersection (our photo can be imagined with horizontal and vertical lines). That way we have 4 intersections on the picture, which lie exactly onto the golden ratio. The golden ratio can help us to find an appropriate picture section. For that we need more of the inital photo, so that we can cut it that way. When the photo is in image editing it helps to layer the grid of the golden ratio above the picture and move it around and in- or decrease it in size, till the picture section shows what you want to tell with the photo. The rest can be confidently cut off. Here we can use photo layers. The grid is placed onto the layer above the layer with the photo. A grid as a see-through PNG file can be downloaded here for your convenience; that way testing it in photoshop is easy. When you found your desired picture section, then fade out the grid and its layer after cutting the photo and save your picture. What we have just done with the golden ratio, can we now do even better with the "golden spiral". First a brief explanation, how the golden spiral forms - that way it becomes clear, that we can also do a harmonic image composition with it. In my opinion even easier than with the golden ratio. After dividing a paper with the golden ratio, you can draw a ¼-circle in the first bigger area (A). The area B now gets also cut up after the golden ratio. In the area B now also has a bigger area (let us call it C) and a smaller area (which we call D). In the new second biggest area C we draw another ¼-circle, which is attached to the first ¼-circle. We can repeat this process as often as we want - 9 times is enough to achieve the following Fibonacci spiral. The golden spiral (Fibonacci spiral) can be shown on 4 different ways, depending on, what makes the most sense for our chosen picture. Often the eye of the spiral will be found at the upper right. And now we can use this spiral, which you can find below as a download, for using in an additional layer in photoshop, which is above our photo. Rapidly, we have a visuel help for a harmonic image composition with the tool golden spiral. And now, for a better judging of the picture without the drawn-in image composition help. But please keep in mind - a harmonic image composition matches to harmonic content. If your photo shows war or marital dispute, then a harmonic image composition might contradict your content. But, there are no laws for photography, which you are not allowed to break - on the other hand you should first know the rules, before you can consciously break them! Both, the golden ratio and the golden spiral are tools to rapidly find a harmonc-looking picture section. Simply play with it and just for fun try it with older photos. It can be that relatively often that allocation was choosen instinctively, as humans see it as "proportio divina" as a divine proportion with on one hand seems harmonic and is used instinctively while it often occurs in nature and in creations, instinctively or not, and therefore everyday life. It additionally offers as a tool the possibility to think about image effects and research their potential. Mnemotechnic verse: image composition is no end in itself - it should increase image effect and should be used expedient!